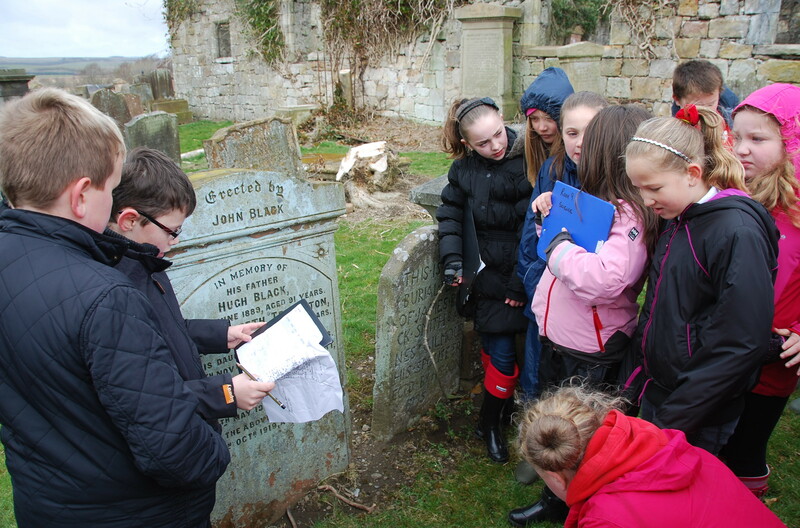 As part of the ‘Auld Kirk and Village Heritage Trail’ project pupils from Primary 6 of New Cumnock Primary School began their research into ten family lairs in the Auld Kirkyard. 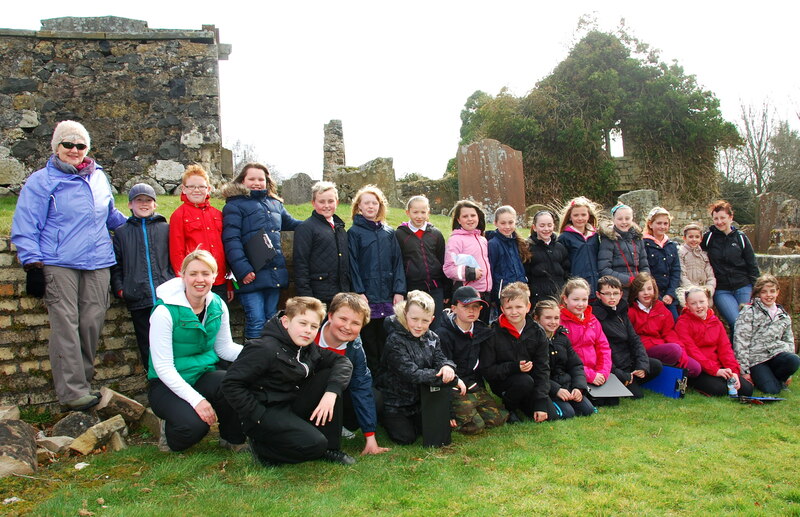 Class teacher Allison Smith, two parent helpers and twenty-four pupils along with project leader Bobby Guthrie headed along the Castle to the kirkyard. 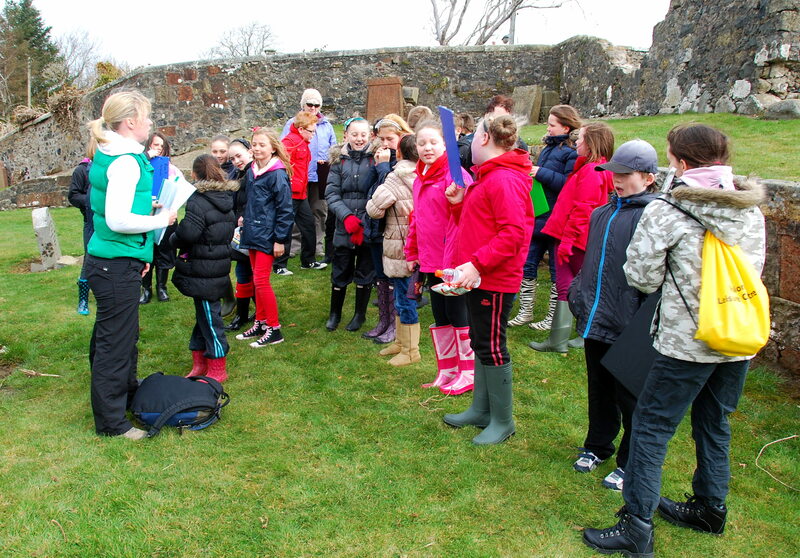 The pupils were divided into ten teams and each assigned with a Lair Number, a map of the lairs and a record sheet to note names, dates, places and occupations. 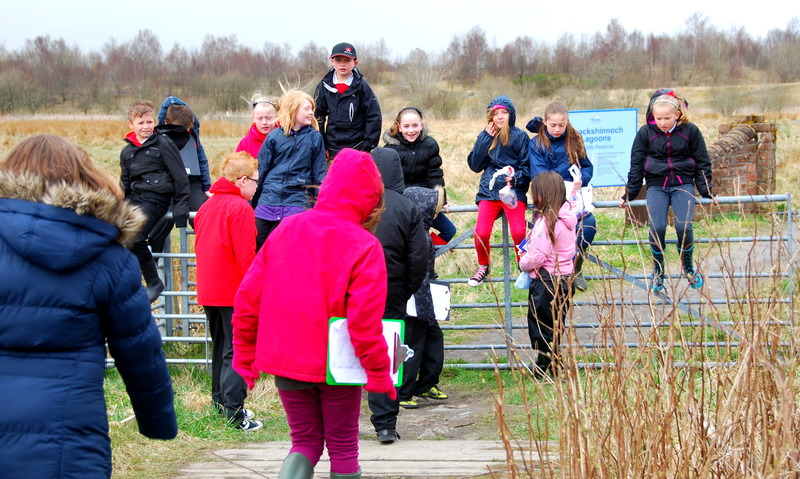 Having found their lair, and checked it was the correct one, teamwork took over as information was read out and recorded. After a much needed snack( in the biting cold wind!) each team in turn shared the information they had recorded with the others teams as we went from lair to lair. Great teamwork again as everyone took a turn and supported each other. Bobby also shared other information he knew about the families. 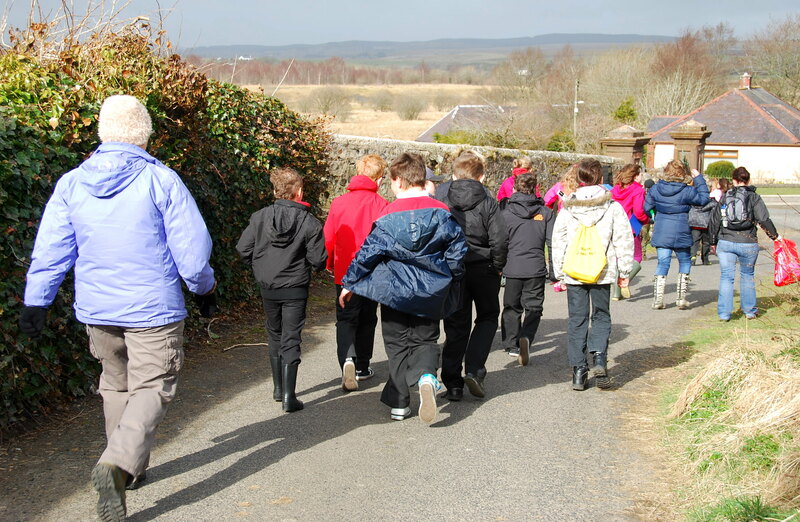 On the way back to school we noted points of interests associated with the families we selected. Above, we went over the bridge that crossed the mill-lead which run from the Old Mill where the McKnight family. 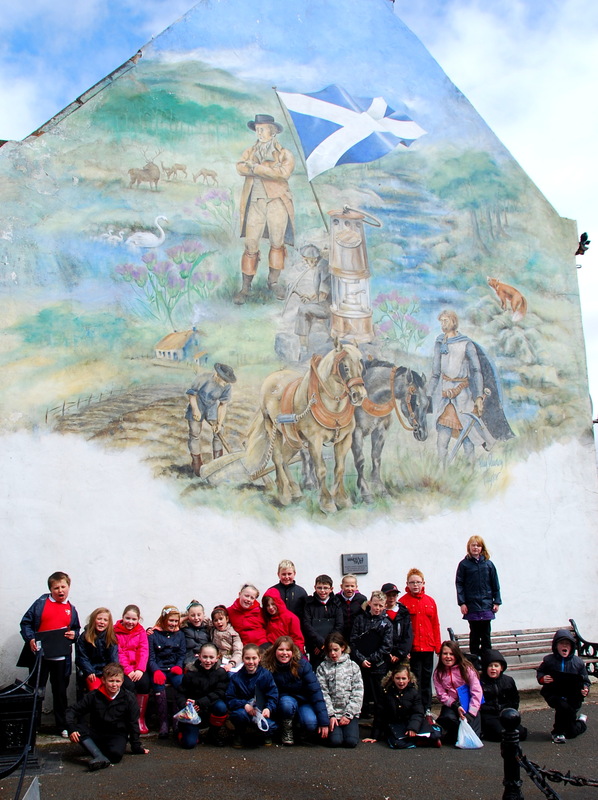 Below, we stopped at the Mural which shows farmers and miners at work, as well as Robert Burns who included a verse in one of his poems about the Reverend James Young . 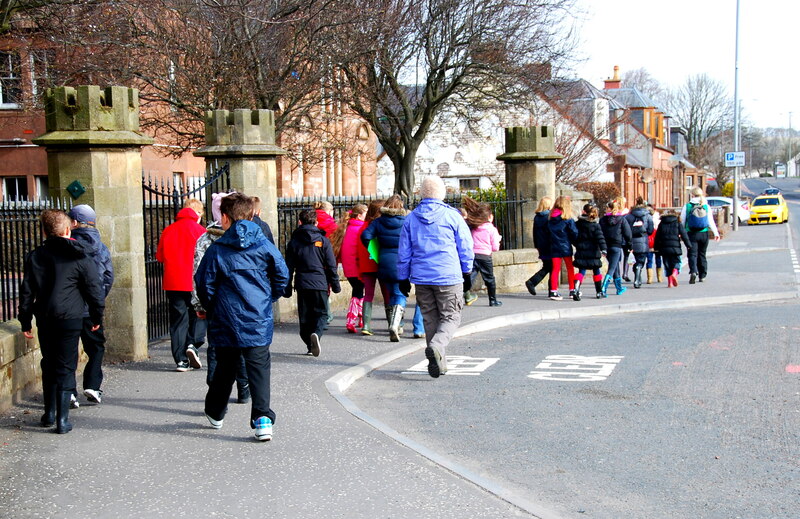 Back to School , where Bobby was back in the same Primary 6 classroom he was in many years ago, when Mrs MacSween was his teacher! 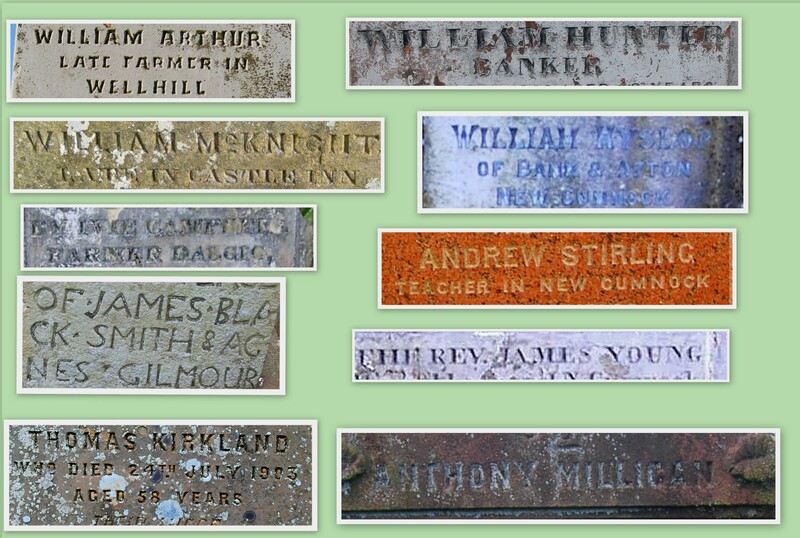 In early May the class will visit the Burns Monument Centre Kilmarnock to continue our research into the family trees the our ten families. We’ll keep you posted! 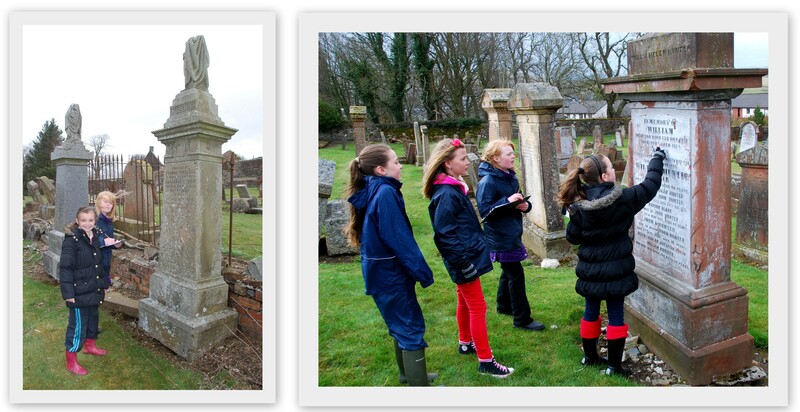 This entry was posted in Headstones and tagged Auld Kirkyard, Heritage, Heritage Lottery Fund, Heritage trail, New Cumnock, New Cumnock Primary School. Bookmark the permalink.